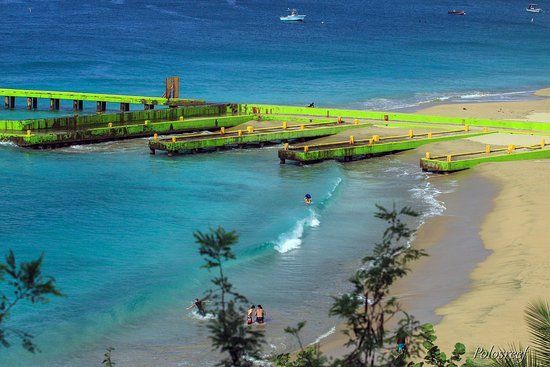 Located in the vicinity of Aguadilla, 1.9 miles north-northwest of downtown Aguadilla, Crash Boat Beach is on the West edge of Puerto Rico. A surprisingly wide range of visitors end up loving Crash Boat Beach; it's not too far off the beaten path, plus it's rarely packed with crowds of beachgoers. If you're not interested in Puerto Rico's completely quiet and hidden beaches, but don't want to fight the crowds every step of the way, this beach offers a comfortable middle ground. 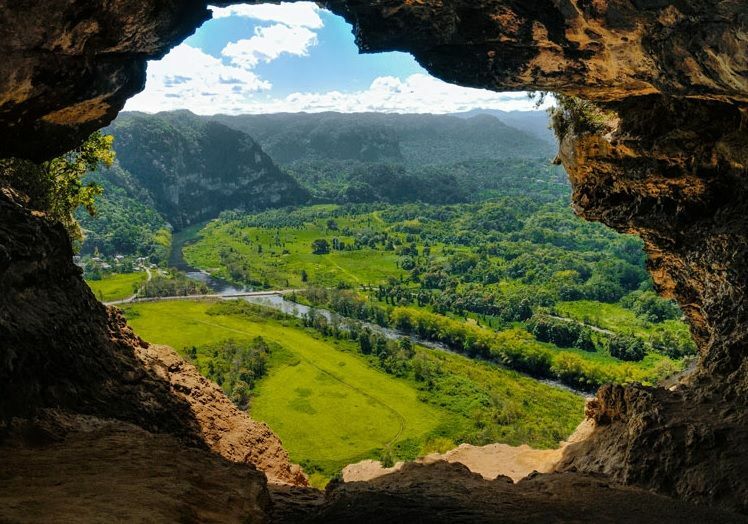 Cueva Ventana, or "window cave," is a popular tourist attraction in Arecibo, Puerto Rico. We have trained biologists on staff who provide guided tours of the natural cave, which contains insects, snakes, and bats. Tour guides also discuss the plants on our site, some of which are near extinction, and visitors get to learn about the history of the original Taino Indians during the 45-minute walk. Cueva Ventana is a cultural landmark that we want to share with people from all over the world. Our facilities are safe and clean, and we maintain them at the highest standards possible in order to ensure everyone has a pleasant, memorable visit. Visitors get to interact with nature in a safe way during the tour, and the view overlooking the magnificent Rio Grande de Arecibo valley is breathtaking for everyone who makes the trek. One of the best tourist attractions in Puerto Rico, we are proud of the many awards and positive reviews that we have received over the years. Cueva Ventana is the only natural cave in Puerto Rico, certified by the Department of Tourism, Puerto Rico-Ecotourism program. 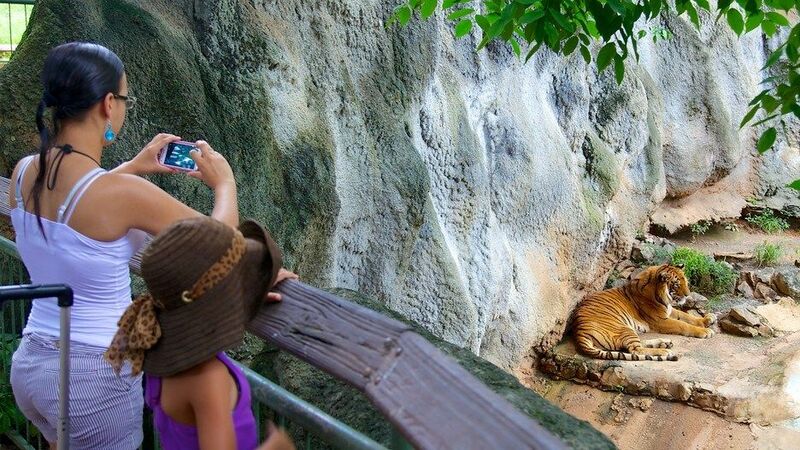 Dr. Juan A. Rivero Zoo (sometimes called Mayaguez Zoo) is a 45-acre zoo located in Mayagüez, Puerto Rico. It is the only zoo on the island. It is named in honor of Juan A. Rivero, its first director. It has an extensive collection of animals from all continents, as well as new facilities. The zoo was originally opened in 1954, when legislator Benjamin Cole authored the law that created the zoo.Starting in 2003 the zoo went through a major upgrade with the addition of the aviary, Arthropoda and a butterfly exhibition. On March 2008 the zoo acquired two new giraffes and two desert warthogs to augment the African collection. The animals were brought from Ohio and Louisiana. 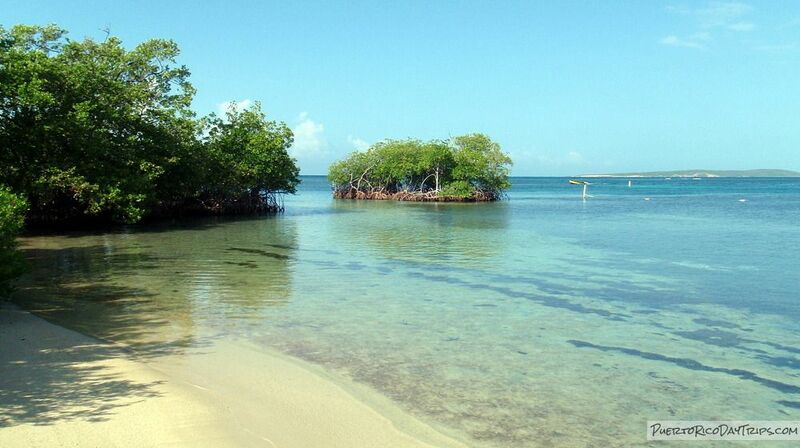 Gilligan’s Island nicknamed after the popular tv show, is one of Puerto Rico’s cays you can’t miss. Gilligan’s Island is part of the Biosphere Reserve of Guanica and managed by the Department of Natural Resources (DRNA). Cayo Aurora is one of the three cays that make up Cayos de CañaGorda (CañaGorda Cays); Cayo Aurora is on the west side, Isla Ballena on the east side separated from the mainland by a channel of about 65 feet, and Cayo Honda is the cay in between. Few tourists and travelers get to enjoy this relaxing haven. 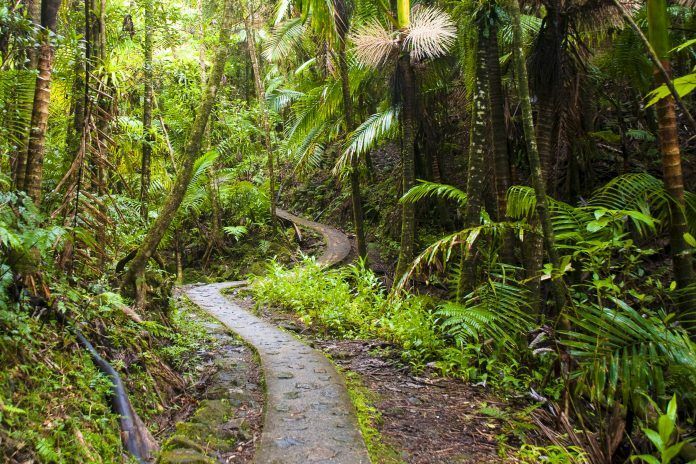 It’s still one of the unbeaten paths of Puerto Rico. It only gets busy with locals during holiday weekends and summers. Gilligan’s Island is a snorkeler’s haven with crystal clear waters with schools of tropical fish, and a few places with live healthy coral. Bring your own snorkeling gear! 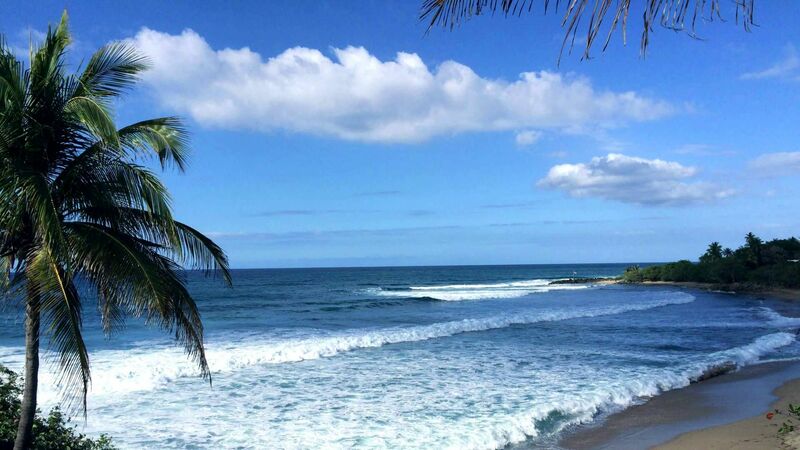 Jobos is an all-time favorite beach among locals and Puerto Ricans living along the northern coast. Playa Jobos is a beach offering something for everyone. Jobos has authentic casual island vibe, with unique natural wonders to admire and legend lives on. At the farthest east point, Jobos is marked by a natural rock wall, creating a protected cove with shallow areas safe for playing in the water and a little snorkeling. The open waters attract surfers for its reliable surf year-round. 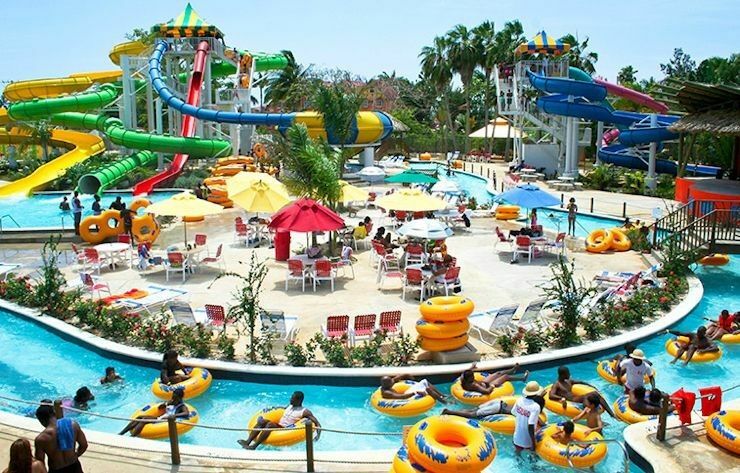 Las Cascadas water park is currently known as the biggest water park in the Caribbean. Recently renovated, it has several attractions to both children and adults. Its attractions include the "Crazy River" which simulates rapids river, and the Wave Pools which simulate the waves of a beach. For children there's the Kiddy Pool area, and for the lovers of speed and adventure there's the Speed Slide, "The Bomb", and the Water Tunnel. And many other attractions for the entire family. The Mayagüez Resort & Casino is the largest hotel resort in western Puerto Rico. 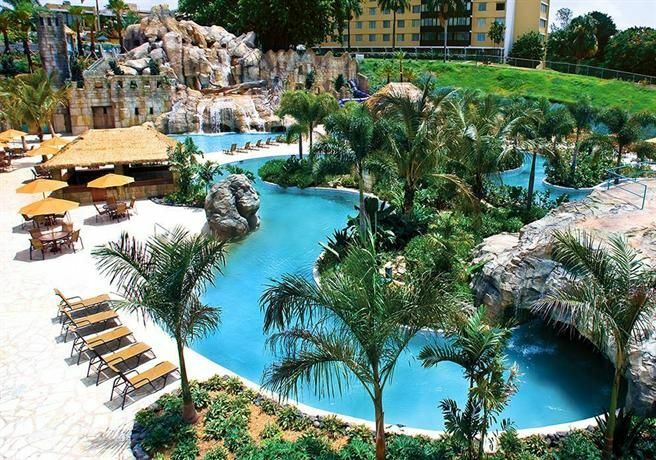 The hotel has two restaurants, a large conference center, a casino, and a newly constructed river pool. The hotel is located on the land where the Valdes Castle once stood. The Hotel was built and operated originally by the Hilton brand and was originally named Mayagüez Hilton. Later on, a group of local investors bought the hotel. 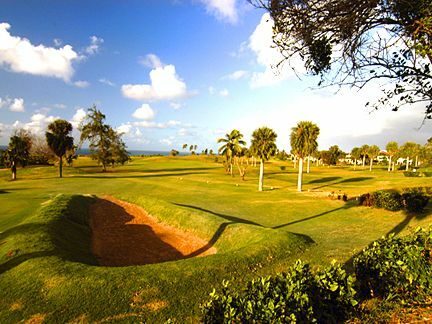 Punta Borinquen Golf Club is an 18-hole par 72 course and driving range that opened in 1940, making it the first public golf course in Puerto Rico. Yes, Aguirre Golf Club opened 12 years earlier, but at that time it was still a private course. 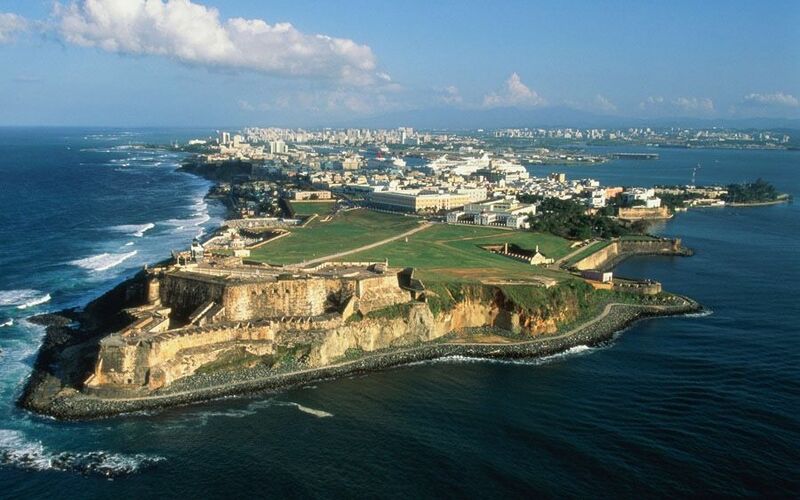 The big claim to fame here is that Punta Borinquen was a favorite destination of President Dwight D. Eisenhower. The course itself is located on a beautiful cliff at the North West tip of Puerto Rico. The beach, ocean, and sunset views here are spectacular. There is even a small narrow road that bisects the course and goes down in elevation to local beach where you can see “The Ruins”, which are the remains of the original Aguadilla Lighthouse. It was heavily damaged by an Earthquake and Tsunami, prompting the construction of a new Lighthouse on the cliff just North of Punta Borinquen Golf Club. The highest mountain peak in the forest rises 3,494 feet (1,065 m) above sea level. Ample rainfall (over 20 a year in some areas) creates a jungle-like setting lush foliage, crags, waterfalls, and rivers are a prevalent sight. The forest has a number of trails from which the jungle-like territory's flora and fauna can be appreciated. Maria’s Beach in Rincon OR is one of the most popular surfing destinations for more experienced surfers, which means it can sometimes get a little congested during the peak winter season. 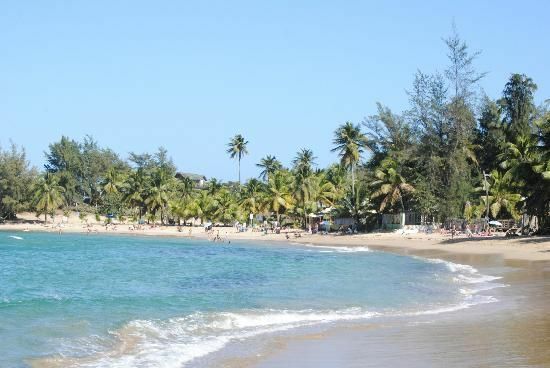 Fortunately, Maria’s Beach offers plenty of space both on sand and in the water, giving surfers and sunbathers an equal opportunity to spread out and enjoy all that Maria’s Beach has to offer. With its rocky shoreline and close-breaking waves, Maria’s Beach offers a challenge to surfers willing to test out the waters during the winter season. In the off-season though, Maria’s Beach is the perfect spot to relax, catch some rays, and enjoy a typical balmy beach day in the Caribbean. The Arecibo Observatory is a radio telescope in the municipality of Arecibo, Puerto Rico. This observatory is operated by University of Central Florida, Yang Enterprises and UMET, under cooperative agreement with the National Science Foundation (NSF). The observatory is the sole facility of the National Astronomy and Ionosphere Center (NAIC), which is the formal name of the observatory. 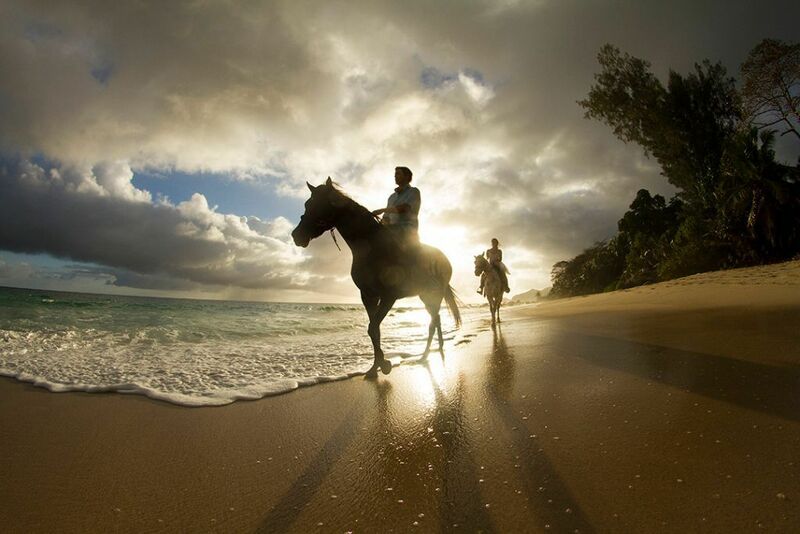 Tropical Trail Rides offers a variety of possibilities for your horseback riding adventure. They operate 7 days a week with 2 rides daily. The morning ride, at 9am, is a perfect way to start your day. Or if you prefer, you can see the best sunsets on the 4pm tour. Each tour lasts approximately 2 hours, and it’s amazing what you can do in those 2 hours! They cater to groups or individuals. Inquiries into specialty rides are welcome. They have 30 horses available and their horses are well cared for, very gentle, but spirited! They take pride in the health and happiness of their animals. Tours are started with a nice ride along the beach. With the soft sand and beautiful blue waters around you, it’s hard to not appreciate natures beauty. At Tropical Trails, they are not interested in bustling people through, they want you to enjoy what our beautiful island has to offer. This is not a commercial endeavor, but more of a personal experience. Toro Verde Nature Adventure Park, Zip Lining is the longest zip line in the universe, holding the title in the Guinness book of world records, only 2 weeks old! Has the length of 28 football fields and can reach speeds of up to 93 MPH! Toro Verde Nature Adventure Park in Orocovis. Does zip lining, either regular (sitting) or laying facedown, maneuvering across suspended bridges, climbing up & rappelling down rock walls, and mountain biking sound exciting enough for you?